Player development begins at the recreational level within our community. For those who acquire a passion for soccer, Seacoast United offers a pathway encouraging them to grow. SUSC has structured soccer programs with different commitment and ability levels. With a higher level of play comes increased demands for training and league play. 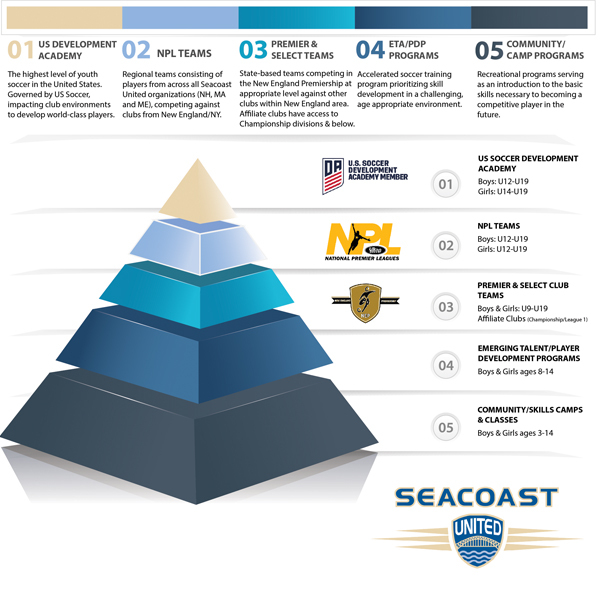 Seacoast United promotes player movement within the club, which exists to benefit the players. They are challenged in a fast paced environment, providing the opportunity for individual expression during training sessions and on game day.